With this Thumb Tricks Magic Set, you'll distract and amaze your audience through fantastic illusions! Each of these "handy" sets includes customized thumb tips with loads of accessories and instructions for performing more than 35 easy-to-master magic tricks. Every magician will want this volume of tricks on their bookshelf. 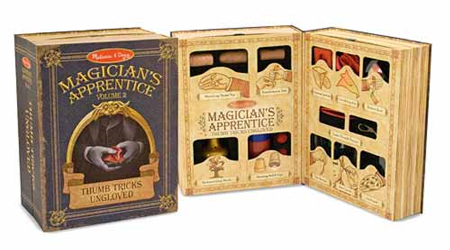 The Thumb Tricks Magic Set measures 18" x 11.5" x 3" and it's great for magicians ages 8 to 88.